The Bearded Collie has converted well from their original role as a working farm dog to making a superb companion or family friend. Hence the reason for the Bearded Collies enormous increase in popularity over the last three dacades. The Bearded Collie can make the toughest heart melt with his soft expression, playful character and great Beardie charisma. the Bearded Collie is eager to please. They are a people dog and have a great loyalty to their owners may it be a companion friend, working dog, family pet or any 'other'. Bearded Collies are extremely intelligent and highly energetic and require a high level of mental and physical stimulation. be prepared to be apsolutely delighted. 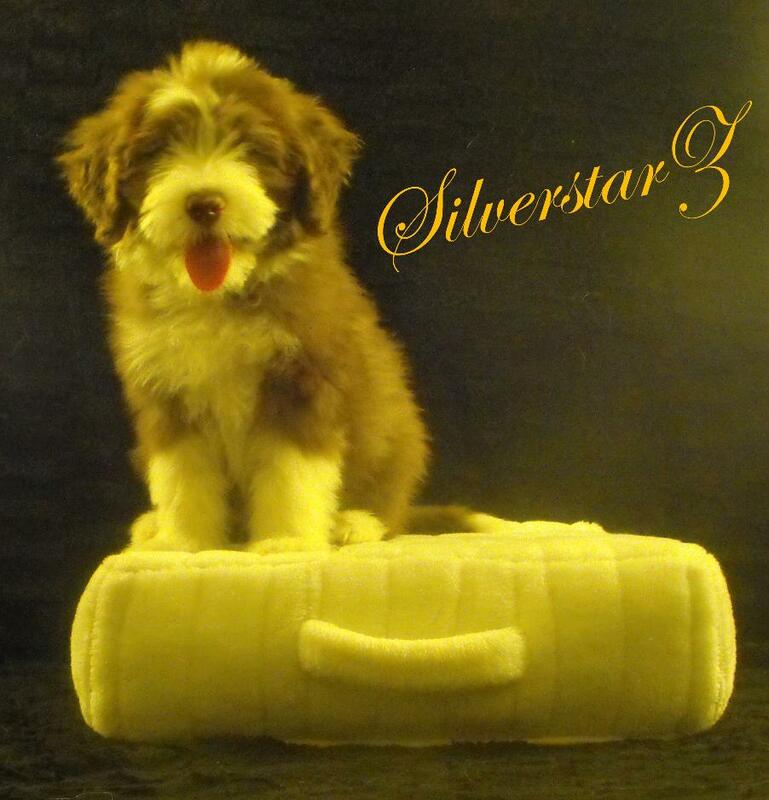 like their whole body are covered with a strong shaggy coat underlaid by a soft, close undercoat. strong and flat which darkens in colour.The coat is a double coat, with a soft fur and close undercoat. Bearded Collies have a very long coat which requires a lot of attention and grooming. Their coats take much attention and grooming during their first years especially, though do become easier to maintain as they grow. Bearded Collies need to be brushed thoroughly 1-3 times a week or clipped on a regular basis, or their beautiful coats will mat. The ideal height of a male Bearded Collie is 53-57 cms, and females 51-54 cms, although some are getting slightly taller in the Breed. They come in colours of Slate, Fawn, Black, Blue, Brown most often with white markings. The average Bearded Collie weighs between 18-27 kg and the average lie span 12-15 years. The Bearded Collie has a friendly, confident and loyal nature. They are devoted to their owners, making the perfect family pet or companion.